5 Books for 20 Something Ladies to Read on Their Summer 2012 holidays. For ladies looking for the perfect book to fly away with this summer, here are my top five recommendations. Whether it is a world of mystery or an era of the past readers are looking to escape to, here are a few books that can offer it all. From rolling on the floor with laughter to using up a whole box of Kleenex, these books will give readers all the adventure they need this summer. Recently adapted into an award winning film, The Help, plunges readers back in time to the age of the American Apartheid. This intriguing story, gives readers a deep and thoughtful insight into what it was like to be a black nanny during this time. With snippets of humour and extremely lovable characters, The Help, will take you back in time this summer. Told from a child’s perspective, Room, is a uniquely interesting story. A tale of a five year old boy who lives in a world called ‘room’ with his ma, this story is both heart-wrenching and smile provoking. With humour that only a child can present, this book will have readers entranced from the word go. Readers will find themselves laughing and crying at the same time at this thought-provoking novel. 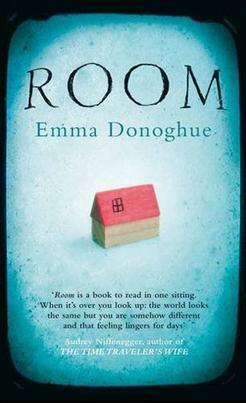 The unique and engaging novel, Room. “Tell it to the Skies” is one of my all time favourite novels. A romantic novel with a spin to it, the book will be clued to sunbather’s hands all day long. As the protagonist Lydia re-kindles memories of the past, reader’s journey back with her, causing an inseparable bond to be formed. Discovering her deepest secrets and darkest fears, the novel is a story about neglect, heart-break and ultimately love. A story of passion and romance, this is one novel readers won’t forget. Falling under the crime novel genre, “Before I go to Sleep”, is a book full of mystery and intrigue. Told in the first person of Chrissie, a woman who suffers from memory loss and can only recall things by reading her journal, the novel keeps readers in exciting anticipation. A book that will have readers turning pages at the speed of light, “Before I go to Sleep”, is a story full of twists and turns. For readers looking for a book to keep them sitting on edge this summer, “Before I go to Sleep”, is a superb and shocking read. The gripping novel, “Before I go to Sleep”. A literary fiction classic, “The Kite Runner” is a book that will sink deep into the hearts and souls of readers. A book that I read in the space of three days, “The Kite Runner”, is a truly enticing novel. Following the character of Amir, a young boy from Kabul, the novel submerges readers in a world of harsh reality. In his journey for redemption, Amir’s stories of the past will bring tears to reader’s eyes. A moving and sobering story, “The Kite Runner”, is a perfect for readers wanting to expand their hearts and minds this summer. Whether it is romance, mystery or simply something completely different that readers are searching for this summer, I would highly recommend that ladies stash at least one of these fabulous books away in their holiday suitcases. With characters that readers will latch onto and gripping, moving, storylines, these novels will make for the perfect summer company!